While the concept of how a door works is extremely simple, purchasing an interior door for your home can actually become quite complex. How wide should it be? How deep? Should the door frame be replaced? Whatever the answers, rest assured, the experts at Scruggs Lumber will help make sense of it all and create you the perfect door. We combine our extensive knowledge with real-life experience and work directly with you to find the right interior door for your project budget, timeline, and taste. We’re not here to just make the sale. We’re here to provide you with a quality interior door that fits your home, one you’ll love that will last you for years to come. The door I need is just a standard-sized door. While other big box stores carry what they may call “standard doors,” around here, we know there’s no such thing. The idea might be to save a few bucks by going with an “off-the-shelf” interior door, but once you get it home and it doesn’t fit, guess what: you can’t return it! There goes your savings. Hey, maybe you can use the “standard-sized” door as a coffee table. In actuality, door measurements vary greatly from home to home in regards to size, width, height, depth. When interior door shopping, you can avoid an extra trip by having all of the measurements for your current door with you before you come in. From there, we start you on the best path for finding the right door the first time. Our interior door designers and builders take great care in custom building your ideal door. *Turnaround time will ultimately depend on the design and finish you choose for your interior door. Remember the “off the shelf” door from a home improvement center, gotten it home and tried to install it only to find it doesn’t fit? 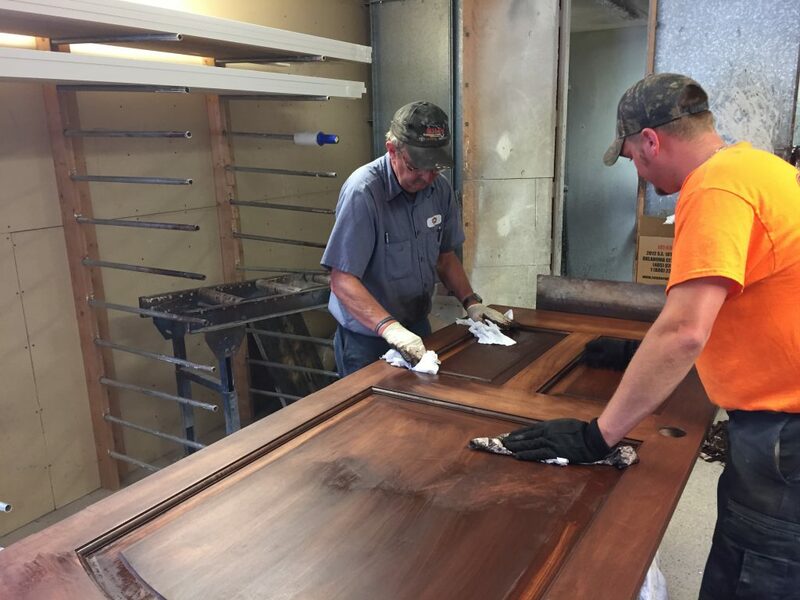 That’s why we custom design and build your interior door by hand in our in-house custom door shop to ensure a flawless cut, finish and functionality. 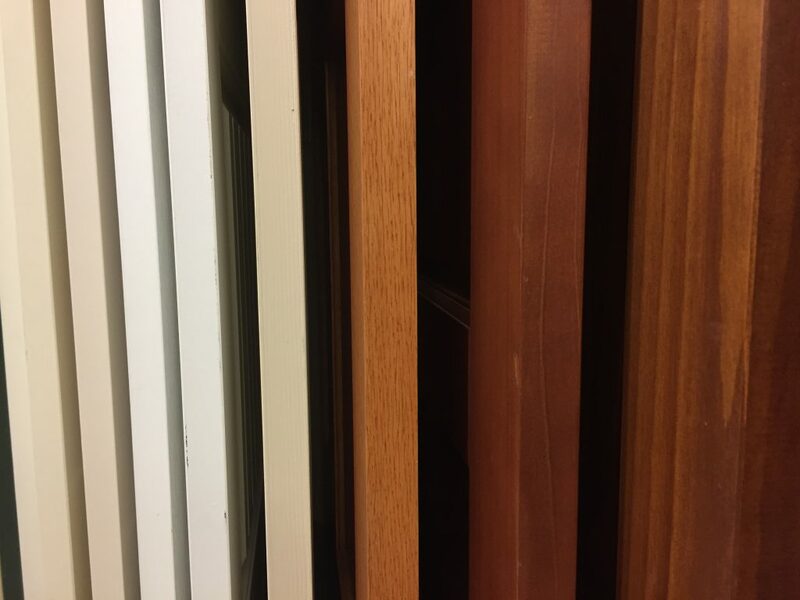 With 15 different stain colors and 4 paint color finishes to choose from, you’re sure to find an interior door that suits your look, your lifestyle and actually fits in your doorway. Wondering what an interior door might cost? With or without exact measurements, we can get you a close estimate for an interior door or frame within minutes. Our interior door manufacturers offer different warranties based on the interior door you select. One of our experienced staff can provide additional information throughout the process of selecting your interior door. Our installers are the best at what they do and maintain a clean, respectful and efficient approach while in your home or office building. More of a do-it-yourselfer? No problem. We’ll talk you through the installation process when you purchase to help ensure the best possible appearance and functionality.